Sunset at Richard Neutra's Kaufmann House in Palm Springs. The Sun sets behind the San Jacinto Mountain range in 1947. 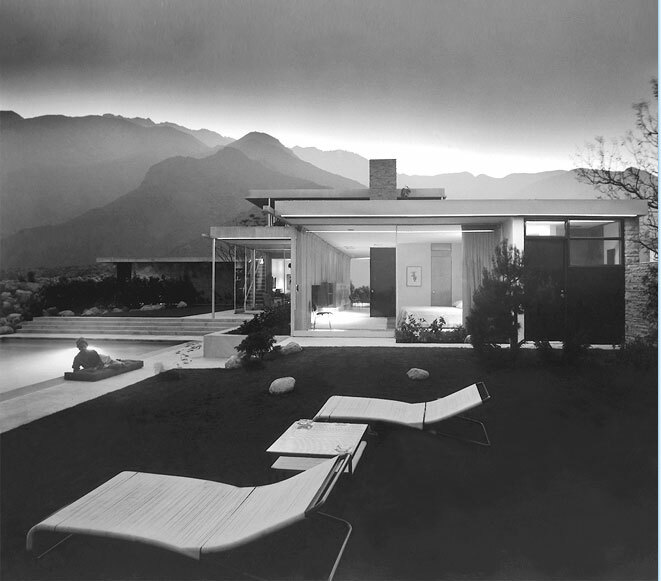 Pictured is Richard Neutra's Kaufmann House as photographed by Julius Shulman.